Early in November, PRO’s Mark Geiger was assigned to the 2018 FIFA World Cup Playoff first leg between New Zealand and Peru, a game that carried huge pressure with a place at next June’s Finals potentially on the line. 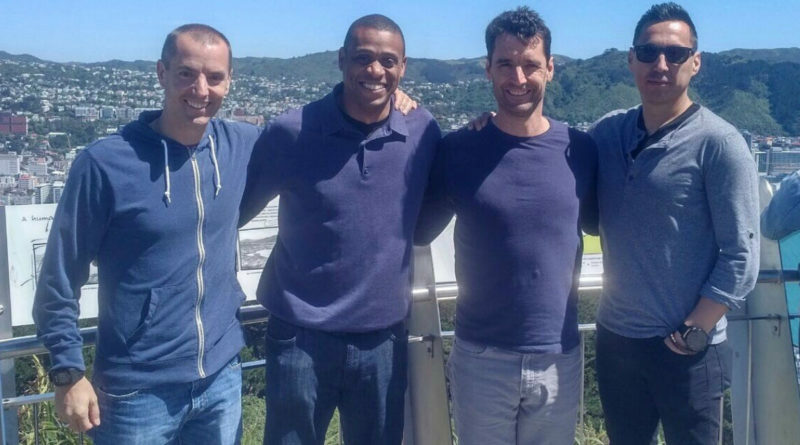 Geiger, a FIFA official since 2008, arrived in New Zealand’s capital city of Wellington alongside his trusted colleagues, Joe Fletcher, Frank Anderson and Jair Marrufo. The hosts were aiming to give themselves an advantage that would stand them on the brink of a third World Cup appearance, while the visiting South Americans were seeking a first tournament showing since 1982. Following the flight in, came rest, recovery and preparation, and then it was on to Westpac Stadium where battle would commence. The game finished goalless, free of major incident, and Geiger enjoyed playing his part in a game which set up an intriguing encounter for the reverse leg. “We felt that the game went well for us as a team,” reflected Geiger. “Working alongside Joe, Frank and Jair really helps, since they are so good at what they do, and there is a strong level of trust in one another and the decisions we each have to make. “The New Zealand experience will be one of the highlights of my career. Any World Cup Qualifier is an honor, but to be assigned a playoff match is even more special with so much more on the line. We reminded ourselves in our team meetings of the importance of the game for the two teams and what was on the line, but this was a situation we have been in before. We have officiated big games, and we knew the approach we needed to take to be successful. “As with any professional or international match, the nerves are going. It was never to the point that it was taking over my emotions or becoming a distraction. However, we were able to use this energy positively and use it as a motivation for the game. Four days later, in Lima, Peru proved too strong for their opponents, securing their place in Russia with a 2-0 win, bringing an end to the World Cup Qualifiers. There’s another campaign with the finishing line now in sight, and that’s the 2017 MLS season. Geiger has undoubtedly had an excellent season, backed up by his nomination for Referee of the Year in the 2017 MLS Awards. The 43-year-old took the time to praise fellow nominees Ismail Elfath and Allen Chapman, the latter of whom was named as the award winner. And now it’s time for some offseason recuperation to reflect and work on any improvements to ensure a successful 14th year in the MLS middle when the 2018 campaign comes around. “It was an honor to be recognized for my performance this year. I was in really strong company with Allen and Ismail. Both of them, along with many others who were not in the final three, had great seasons and deserve the recognition as well. I congratulate Allen for winning the award this year and for the terrific season he had in 2017.